Malia is Situated 34 kilometres east of Heraklion airport and is one of the most popular and lively resorts on the Greek islands. 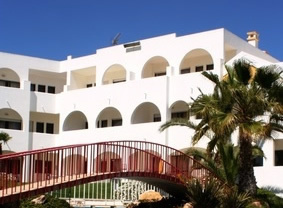 The resorts reputation as a party destination here in Crete is as notorious as Faliraki in Rhodes and the Spanish resorts of Magaluf in Majorca and San Antonio in Ibiza. It is mainly popular with young British tourists who are not looking for peace and quiet. The prominence of Malia as one of the leading spots for nightlife in Europe is cemented by the attraction of big name DJ's and events throughout the summer. The Main Strip in Malia is home to many bars, clubs, taverns and restaurants. This area is also near to much of the resorts accommodation with many apartments and hotels in the vicinity. Malia has a fine sandy beach and is of good quality with plenty of water sports including jet skis, banana boats, para-sailing and much more, the beach is generally fairly quiet in the mornings as many revellers tend to sleep-in in the mornings having spent the night partying until the early hours in the nightclubs! So apart from the all night drinking, the lazy days on the beach the fast food joints and tavernas is there anything else to do? How about a boat trip to discover some of the nearby beaches and coves or why not take a Jeep safari and take a choice of routes one via the beaches and coastline and the other to the mountains and gorges of Crete. If you need some more time out from the 24 hour fun you could spend an afternoon strolling around the many shops in Malia everything you need is here with shops selling everything from leather goods and souvenirs, to ceramics and even expensive jewellery.